The original couples laboratory, reimagined for the 21st century. Since the 1980s, Gottman has brought more than three thousand married couples—just like Bill and Sue—into that small room in his “Love Lab” near the University of Washington campus… Can a marriage really be understood in one sitting? Yes it can, and so can lots of other seemingly complex situations. What Gottman has done is to show us how. The Love Lab is the world’s original couples laboratory, first opened in 1986 at the University of Washington by Dr. John Gottman. More than 30 years after its inception, the Love Lab has been reimagined by The Gottman Institute for the high-tech modern age. After putting thousands of marriages under a microscope, we now understand the science of relationships. Through groundbreaking mathematical models integrating nonlinear differential equations, we can reliably predict and chart the future course of a relationship. And more importantly, we are now able to provide data-driven suggestions for positively adjusting the course of a couple’s life together. In partnership with the Center for Relationship Wellness, founded by Certified Gottman Therapists Don and Carrie Cole, we’re now offering private Marathon Couples Therapy in downtown Seattle. John and Julie Gottman are also scheduling sessions at their private home office on nearby Orcas Island. Couples that participate in Marathon Couples Therapy receive a scientific evaluation of their relationship from the Love Lab. Our comprehensive relationship assessment will pinpoint the areas in which you can achieve the greatest growth so you can move forward to a place of strength, reconnection, and hope. Dr. John Gottman began systematically observing couples in his first lab at the University of Illinois in the 1970s. 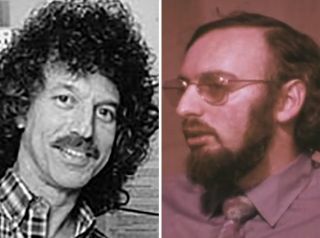 In 1986, Gottman (right) and Robert Levenson (left) built an apartment laboratory at the University of Washington that was dubbed the “Love Lab” by the media. It was notably profiled in Blink, Malcolm Gladwell’s #1 best seller, and has been featured by Dateline NBC, BBC, The Anderson Cooper Show, TIME Magazine, and The Atlantic. Over many years they observed hundreds of couples and noted their facial expressions, heart rates, blood pressure, skin conductivity, and the words they used in conversation with their partners. They discovered that low-risk couples maintain a “magic ratio” of five positive interactions to every one negative interaction during conflict. In 1996, Drs. Julie and John Gottman co-founded The Gottman Institute to bring this research to the world. In 2015, Drs. John and Julie Gottman asked Carrie Cole, a Master Trainer for the Gottman Institute, to be the Institute’s first Research Director. In February of 2018, the Love Lab was re-imagined by The Gottman Institute in the heart of downtown Seattle and opened its doors to the public for the first time. Watch a video about the original Love Lab at the University of Washington.